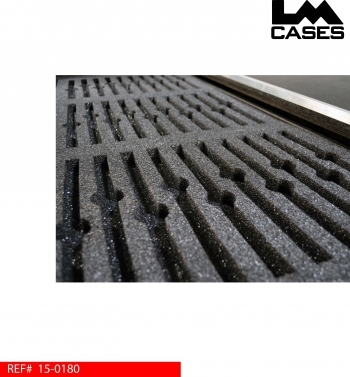 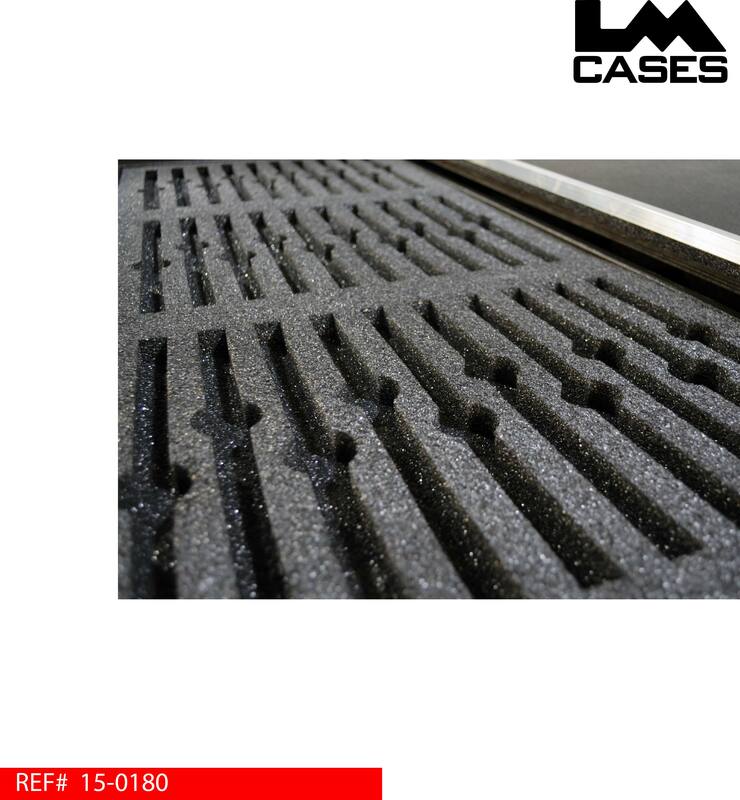 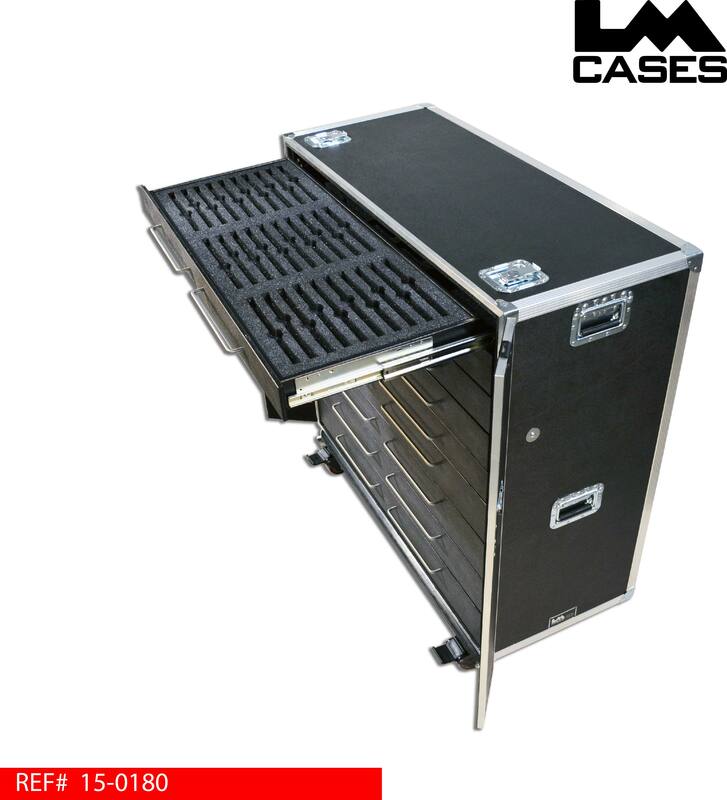 This case was designed to be an installed workstation for Conference Systems. 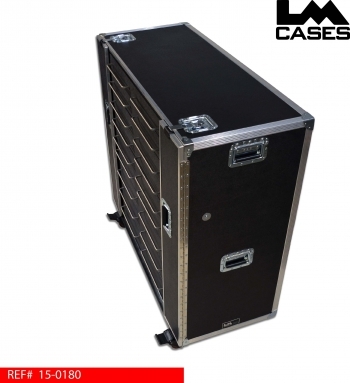 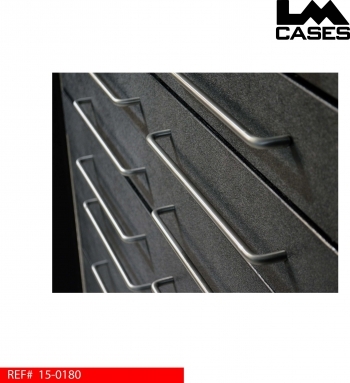 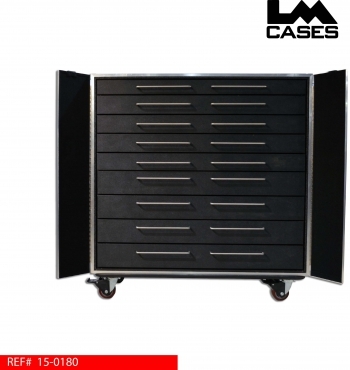 The case holds 40 Brahler TMD/01 gooseneck microphones, D-Doc and D-Mic bases in 9 custom drawers. 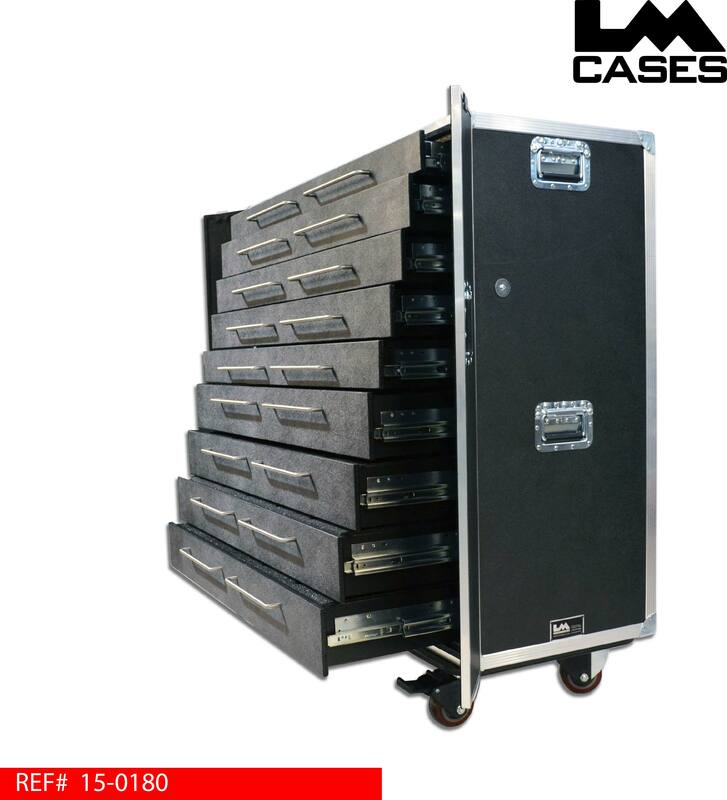 The case lives in a venue and never sees road use, all drawers are held closed by 2 hinged panels secured with large valance spanning latches. The system is broken up into 3 segments with a custom drawer holding the mics and each type of base. The top drawer features a custom CNC cut foam insert that holds 30 of the TMD/01 gooseneck mics, t he next drawer holds 10 gooseneck mics, 4 of the D-Mic bases and an open area for accessories. 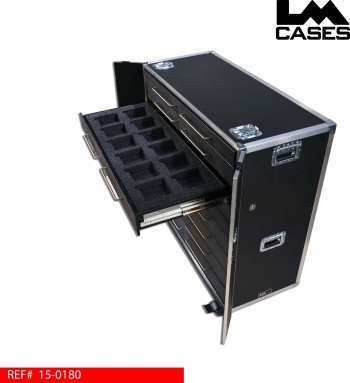 There are 3 drawers that hold 12 D-Mic bases and 4 drawers that hold 10 D-Doc bases. The drawers are built into a 1/2" inner shell that is independent of the exterior case shell and features a 1/2" PE foam lining that separates the inner shell from the outer case. The outer case is built out of 1/2" plywood laminated with black ABS plastic and features Colson 4" x 2" HD casters. 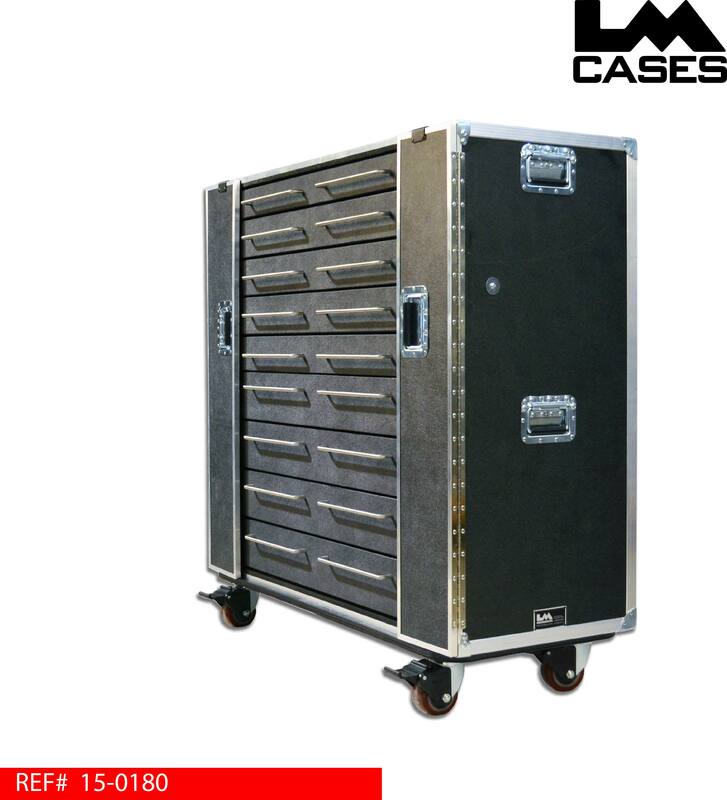 Special thanks to Conference Systems!